Nominated Best Local Business for 3 years! Cabena's Japanese Auto Care is a family owned and operated independent auto service and repair facility. We can handle any maintenance or repairs on your new or used vehicle. Located in Acworth, GA, Cabena's Japanese Auto Care has been owned and operated by Chuck Cabena since 1999. Our reputation has been built one satisfied customer at a time. We look forward to helping you with your auto repair and service needs to keep your car, truck or SUV safe and reliable. Our Goal is to Make Customers for Life! We know you have many options in auto repair, so we constantly work to provide you with an auto repair experience that is like no other. Our business has grown from word of mouth alone. We know if you are happy with our repairs and impressed by our family friendly service you will let us take care of your car and keep you driving in a safe and reliable vehicle. Our ultimate goal is to have you think of us not just as an auto repair shop, but as your friends that you can always bring your car to. Look at our testimonials page to see what our customers have to say. At Cabena's Japanese Auto Care we hire only highly skilled auto technicians who specialize in Japanese vehicles. They pride themselves on staying up-to-date in all of their training. You may ask how is this different from anywhere else? Well, let's compare this to doctors. There are many general practitioners that are knowledgeable in different areas of medicine. However, for treatment in one specific area, you would choose a specialist. A specialist is trained in medicine but has further training in one specific field. We specialize in Japanese and Asian imports such as Toyota, Lexus, Scion, Honda, Acura, Nissan, Infiniti, Mazda and Mitsubishi. Specializing in one type of vehicle is different from other general repair shops. This allows us to be absolute experts so you don't have to worry about your car or your safety. We provide auto repair services in Georgia for the areas of Woodstock, Acworth, Kennesaw, Cartersville, Canton, Marietta, Dallas, Holly Springs, Rome, Hiram. No matter where you are located, we will take care of your car. Feel free to call us with any questions at (770) 974-7300. 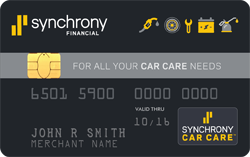 We are here to help you with your cars’ needs. Located in the Acworth area, we service the following communities: Woodstock, Acworth, Kennesaw, Cartersville, Canton, Marietta, Dallas, Holly Springs, Rome, Hiram and surrounding areas. Cabena's Japanese Auto Care hires trained technicians and automotive mechanics in the Acworth, GA area who are willing to stay on top of the latest technology in the automotive indus	try through ongoing schools and training. The shop takes pride in being up to date, clean and as efficient as possible to get your car in and out as quickly as possible. Read more about our Staff and Mechanics.